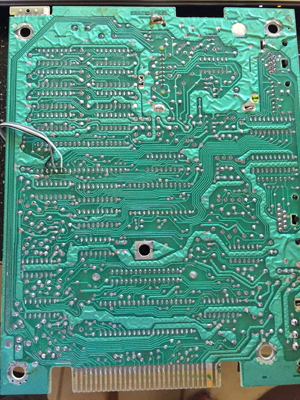 The ColecoVision can output RGB, composite and S-Video with a modification. Stock consoles only output poor quality RF video. Please read on for more information. 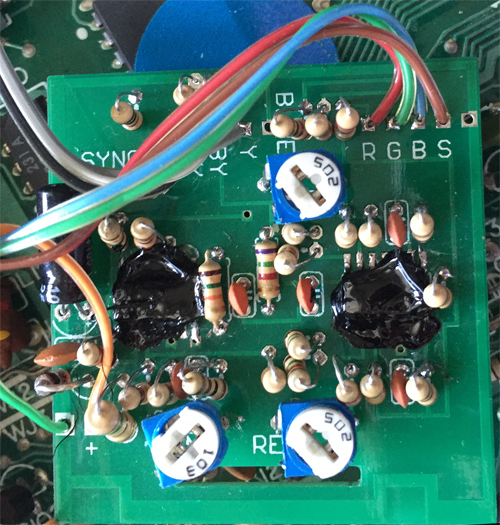 RGB DIY Kit: There are a few people around the world working on a DIY Colecovision RGB Kit. At the moment, none are available for sale, but the one from Citrus3000psi is on OSHPark for anyone to download. Keep in mind, it’s recommended that you use an oscilloscope to set it up. 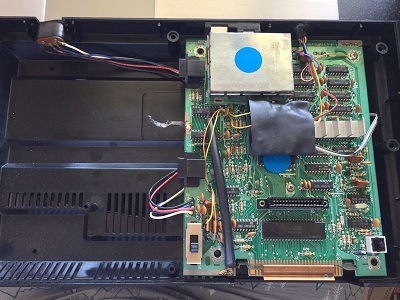 FPGA Gaming: The Analog NT Mini’s custom firmware allows you to play Colecovision roms, as well as cartridges with a separate cartridge adapter. This is not software emulation, this is an FPGA recreation of the Colecovision hardware. I’ve found it to be amazingly accurate with zero lag. While the NT Mini is expensive, if you don’t already own a Colecovision or the other consoles the NT Mini supports, it might end up being the cheaper option overall, as it outputs RGB and HDMI. 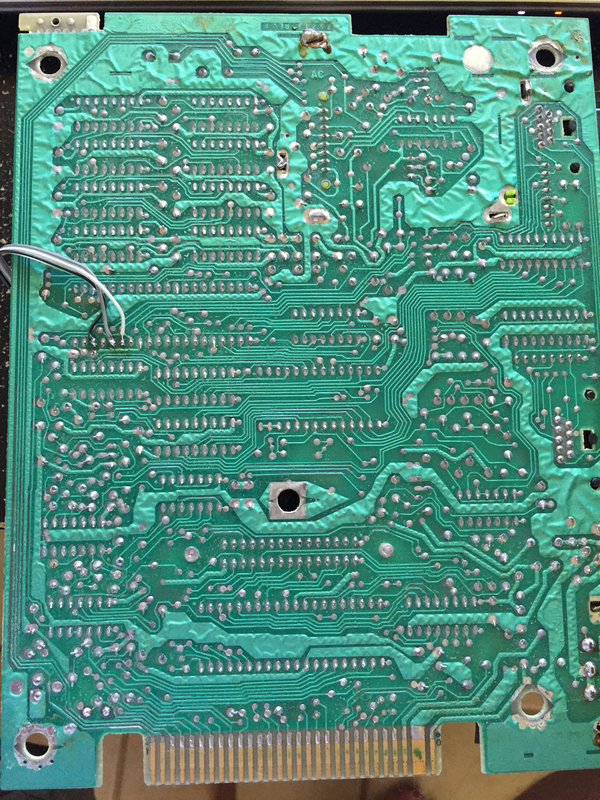 As an FYI, the RGB and VGA mods are not compatible with the Atari 2600 adapter, since it bypasses the internal circuitry. There’s an Atari 2600 RGB mod now available though and the 2600 is also supported in the Analog NT Mini. As you can see in the pictures, RGBs is easily available right from the board, so you can use any choice of connector you’d like. That’s it for now. 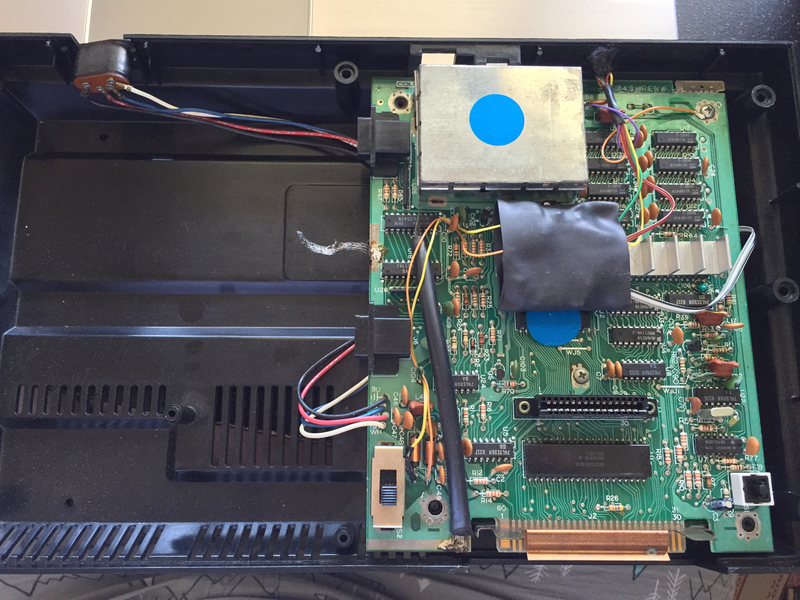 When I have extra time, I’d eventually like to dig deeper into ColecoVision modding and add comparison pics. Check back every so often for updates (or just follow me on Facebook or Twitter). Colecovision System & 50 games & Atari Expansion with some Boxed Atari games!! Donkey Kong Junior Jr. Nintendo (ColecoVision, 1983) CBS VARIANT RARE COMPLETE!